It’s Sunday night, and I should be shooting a few pictures of my Fresh Direct order right now, but, thanks to some mildly serious snow and/or a confused driver, the delivery is running an hour late. Grocery delivery pointers: don’t schedule deliveries after dark if your house is hard to find. Last I checked, the driver is backtracking to find out just where he dropped off the order, since it wasn’t here or at any or our immediate neighbors’ houses. Meanwhile, I wanted to start giving the recipes from last week’s grocery list their own blog posts, since the ones in the Google Sheet are “rough” outlines, and might not serve beginning cooks well. So we’ll start with breakfast! 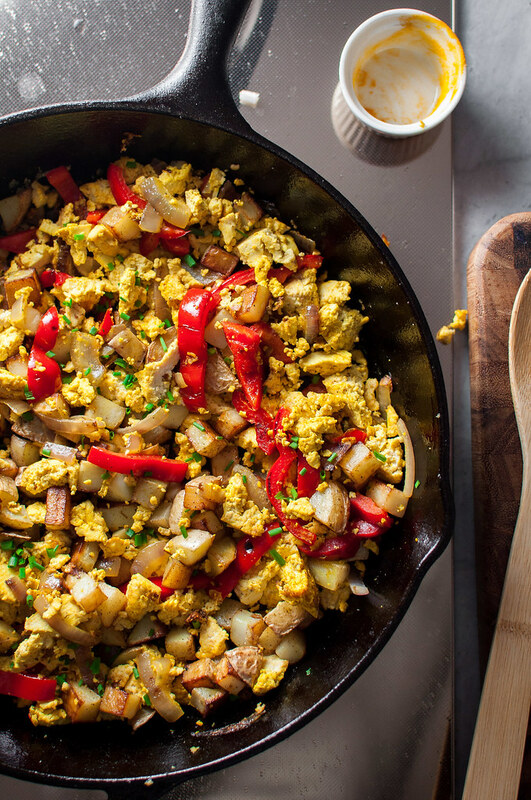 If you honestly have tried and hate tofu, there’s probably not much I can do to convince you of the merits of a tofu scramble. But, if you have even the slightest taste for it, there are so many reasons to try this breakfast. 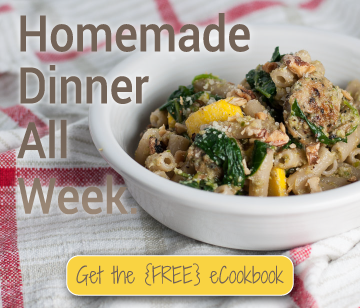 A Peapod Delivery Meal Plan! So, I tried Peapod. I liked it (for the most part). But just what did I order, and how does it fit into my meal plan for the week? Note: I have no affiliation with Peapod and haven’t received any compensation or freebies in exchange for this post. If you DO want to support more free meal plans on NCK, you can use this link to do all your Amazon shopping (no extra charge to you). Thanks! As I mentioned, I’m putting together as many easy meal plans as possible for when the baby comes. For me, cooking is a hobby and a stress release, something I’ll need to hold onto even when I’m sleep deprived and my hair hasn’t been washed in two days. However, I’ve come to acknowledge that, as the exclusive feeder for a while (we’re going to try to stay away from bottles as long as possible), my window for cooking with a baby in the house may be limited to the pocket somewhere in between Steve getting home, feeding or changing the baby, and feeding and “changing” the pugs. Sounds like a pretty small pocket. But I’m determined to cook some dinners, even if they’re far simpler dishes than I would have considered putting on my meal plans two years ago. Welcome to 2017! Although pregnant, I got to end 2016 with a half glass of nice bubbly, surrounded by my boys (and maybe a girl, too?! ), watching…a thought provoking documentary on minimalism. It was actually the perfect way to transition into a new year. Looking at my home, you probably wouldn’t describe me as a minimalist, but I really identify with the mindset, and I try to keep items without use or value out of our house. As we add furry friends and a tiny human it gets to be more of a challenge, but the film reminded me that there are families out there–families full of pets and children–who make a minimalist lifestyle work in their own way, and I plan on honing in on their example as we decide what baby Schatteman needs in order to exist upon his or her entry to the world (2 months!). With the baby’s impending arrival in mind, Steve is really pushing me to look into services that can free up my time. And “pushing” in the best way possible. My husband encouraging me to spend a little extra money to make life easier is most partners’ dream, but, being a stubborn perfectionist, I’m a little harder sell that someone else would be better at doing my grocery shopping or cleaning my house than me. Don’t even get me started on my highly specialized laundry system. 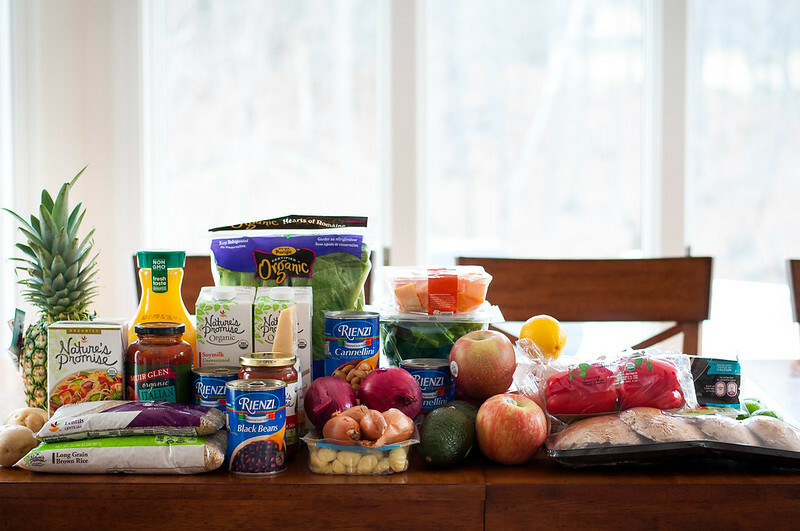 I’m writing simple meal plans ahead of time for when the baby comes, and testing one out this week presented a great opportunity to try out Peapod for grocery delivery. I had no excuses left: my meal plan for the next week was finished by Wednesday, and, using the promo code “60DAYSFREE” (still active as of this post date), I got $20 off my first order plus delivery fees, which range from about $7 to $10, waived for two whole months. 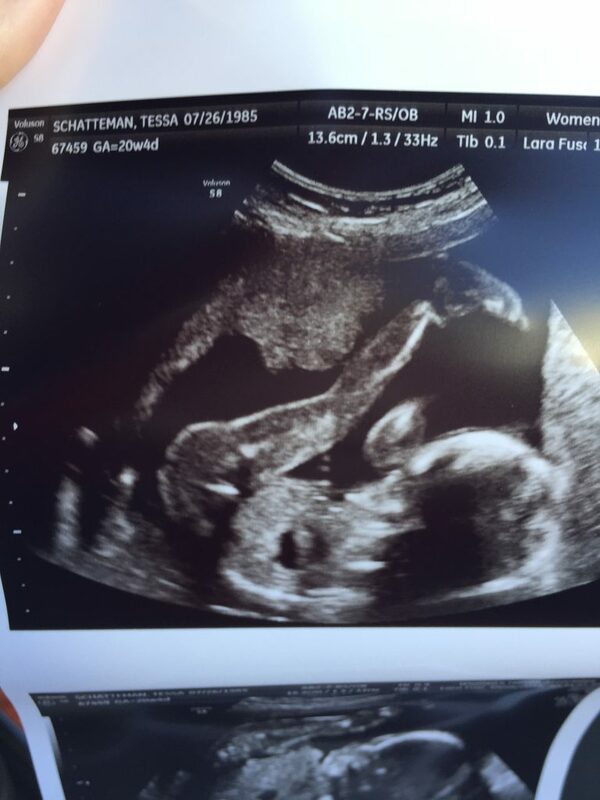 Now, I know there are several other services out there, and since my experience wasn’t perfect, I’ll probably test one or two others before baby Schatteman hits the ground. Rachael Ray Everyday magazine had a nice comparison in a recent issue of some major services. That should also clarify that I have no affiliation with Peapod and am writing this review totally of my own accord, hopefully to help some of you simplify a busy schedule in the coming months, or new year. With that said, my initial thoughts. 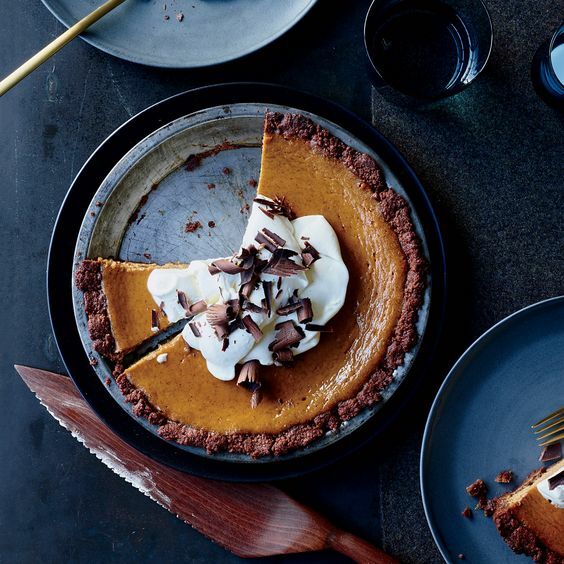 If you’re the type that could spend hours flipping through food magazines, perhaps the same ones over and over, agonizing over which few recipes are worthy of your next weeknight dinner or weekend dessert, then you know that November is serious business for these colorful periodicals: Thanksgiving. 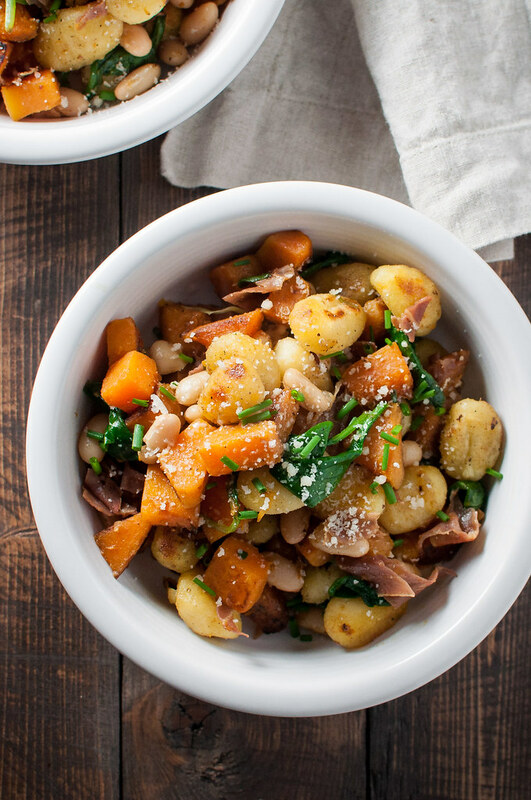 With the exception of Friends-giving or last year, I’m not normally responsible for the entire meal (and I certainly won’t be this year at 25 weeks pregnant), so I get to pick a couple really elaborate recipes to contribute to the feast. I have no idea if these posts will become a regular thing on NCK, but I haven’t written much since announcing that I’m having a baby, and I’ve been having some strange behavior and cravings that are worth recording. It’s probably more interesting for my own documentation and family and friends, but, then again, it’s fun comparing pregnancies so maybe other mamas, mama-to-be, or future mamas will enjoy reading. I can’t say there’s necessarily any good wisdom to offer, but we’ll see how it unfolds! Baby Schatteman is doing great! Steve and I are so thankful that midwife appointments and ultrasounds have been entirely uneventful. At the anatomy scan (i.e., 20 week ultrasound), which will likely be our last ultrasound, we found out our baby is about 12 ounces and that my placenta is high posterior–both good things. I had read a bit about placenta previa, so I was relieved the position was fine. He or she (we’re finding out the gender at birth) is moving around a fair bit. It’s definitely hard to say how much when it’s your first pregnancy, since there’s nothing to compare it to, but the last week or so I’ve noticed much more clearly when baby is movin’ around. It’s usually when I’m most relaxed: laying down, sitting, or indulging in a little dessert. Steve felt the movement externally before I was able to decipher it, but now I’ve had plenty of turns, too. It’s the weirdest feeling, but it’s already started to help me connect with my baby as we respond to each other’s activities. Judging by movement, I think pillow talk time might be one of its favorites, listening to Mom and Dad (okay, mostly Mom) chatter, and, for some reason, I think the movement in reaction to excessive dog barking is in protest. Quiet down puggies! Okay, so here’s where we get to the fun stuff. My first trimester wasn’t anything out of the ordinary: I was nauseous every day but never threw up, and not much food sounded good besides cheese, crackers, and bread. I was exhausted and urinated constantly. 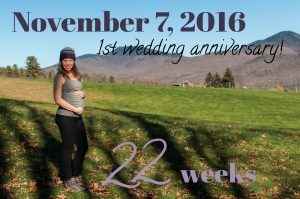 Turns out the second trimester is a lot more interesting! I thought I’d be a candidate for massive pregnancy weight gain, being that I showed early (maternity clothes at ten to twelve weeks) and gained well in my first trimester: about a pound a week. However, the second trimester has seen my weight really level out at about 15 to 18 pounds of total gain up to this point, despite hoover-like tendencies. I’m only tracking about two days past my original due date, so all is well with the baby, and I think given my intake, my weight is about to take an upswing again soon! 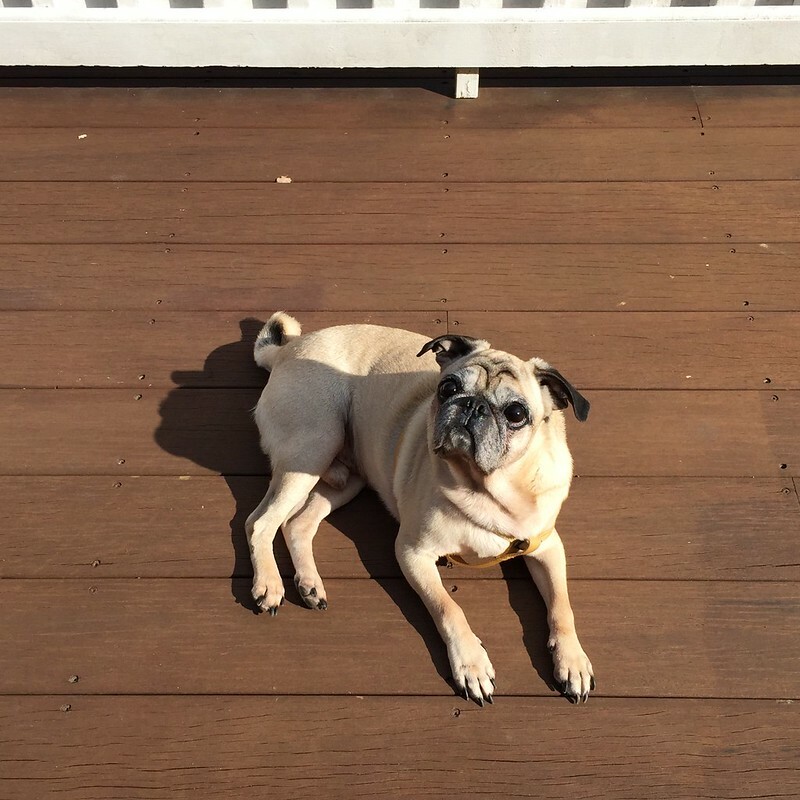 Although, Nugget’s an estimated six years old (he was found as a stray, so we can’t say for sure) and definitely has the old man attitude going on sometimes, like when Clarence wants to play, which is…always. My life is now listening to Clarence bark his head off at poor Nugget to get a little chase going. BUT, this was not meant to be a pug post. 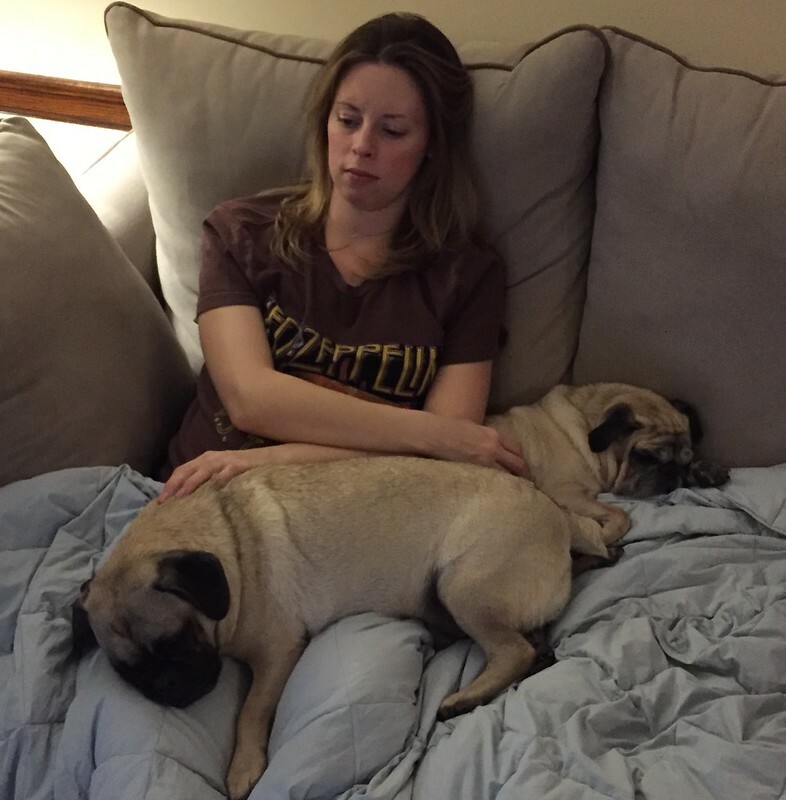 It’s meant to explain how, during a pretty busy week of pug care, getting ready for vacation (i.e., doing 17 loads of laundry…per day), pregnancy, and house upkeep and decorating, I managed to make us (and a client-friend) good, comfort food, warm dinners every night. Except the night I must order pizza.